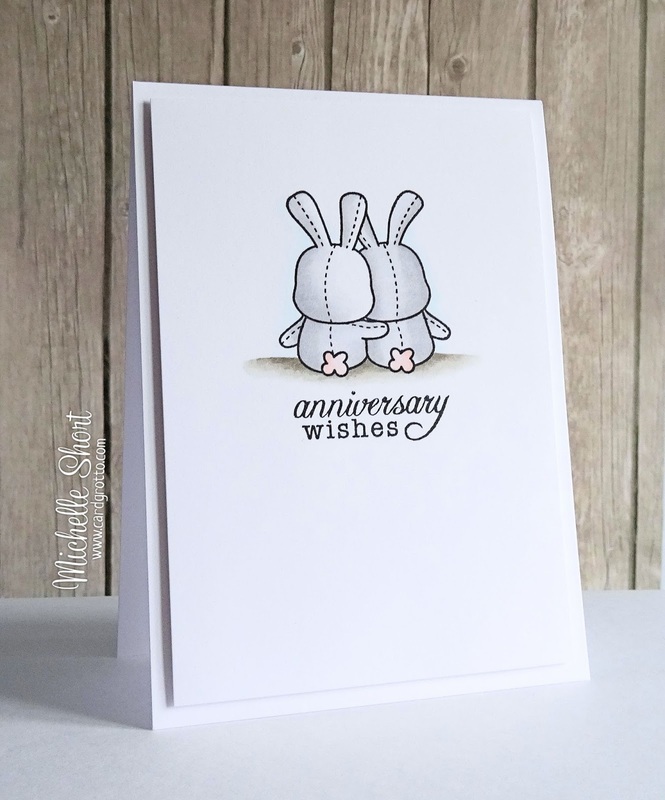 Hello there, when I was thinking about what to do for my brother and sister in law's wedding anniversary card this week, my mind went straight to the cute bunnies from the Mama Elephant Honey Bunny set. I kept the card simple by just stamping the bunnies and colouring with Copic Markers. I then stamped the sentiment, from the PTI Fillable Frames set, underneath. The panel has then been popped up on a white card base with foam tape. Awwww the cutest bunnies ever and your CAS is perfection! Adorable and your shading is fabulous Michelle. I need to get this stamp set, I don't know why I haven't yet! That is so sweet. I am going to have to look into getting that stamp set. So cute. So cute! I wish I could colouring like you can.